and the temple of Philae before setting sail on the Nile to Kom Ombo and Edfu and ultimately Luxor. 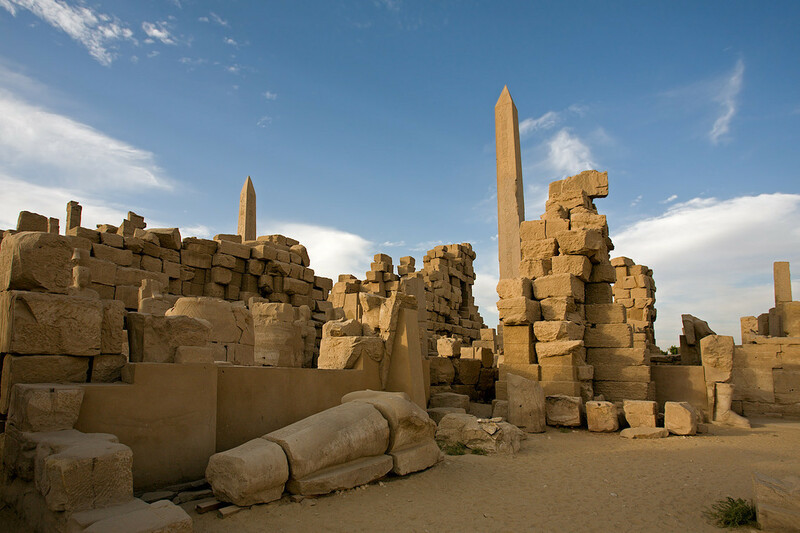 Discover Karnak and Luxor temples before heading back to Cairo and the famed Egyptian Museum! Truly a great opportunity to visit Egypt. Upon arrival to Cairo International Airport you will meet your tour leader inside the arrival area. 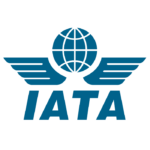 Your tour leader will then assist you through the airport formalities (arrival procedures) and then accompany you on a private air conditioned vehicle to your hotel. Your tour leader will complete the check-in procedure with you and take a moment of your time to review your holiday itinerary. Overnight: Cairo. Meals: Dinner is not included. After breakfast, your qualified Egyptologist will meet you at your hotel with a modern air conditioned vehicle. The Egyptologist will be guiding you throughout the duration of the trip today to some of the most amazing historical sites in Egypt. Enjoy the civilization of the Pyramids of Cheops, Chephren and Mykerinus of Giza which are erected on a rocky plateau on the west bank of the Nile River near Giza in Cairo. In ancient times they were included amongst the Seven Wonders of the World, Then proceed to visit the Great Sphinx, the head of pharaoh with a lion’s body, which dates from the time of Chephren, the tour also includes a visit to the Valley Temple facing the great statue and then you will be transferred to enjoy the Egyptian Museum where you can see the collection of Tutankhamen amongst other splendid pharaonic artefacts which is said to exceed more than 120,000 items on display..
Overnight: Cairo Hotel. Meals: Breakfast and lunch are included. Dinner is not included. After breakfast, you will be transferred to the Airport for your flight to Luxor. Upon arrival to Luxor Airport you will meet your tour leader inside the arrival area, and then you will be transferred to Check-in at Cruise 5*Nile Cruise. After lunch, a qualified Egyptologist will meet you to guide you through this spectacular tour visiting the East Bank of the Nile River in Luxor. Enjoy the marvellous Karnak Temple or Temples of Karnak, which comprises a vast mix of decayed temples, chapels, pylons, and other buildings. Then onto Luxor Temple, which was founded in 1400 BCE. Luxor Temple is the only temple where you will see a combination of religions during the years. Overnight: On board the Nile cruise. Meals: Breakfast, lunch and dinner are included. Breakfast will be slightly earlier than usual today, as we want to take advantage of the beautiful early morning to visit some of the fascinating sites available on the West Bank of the Nile River in Luxor. After breakfast your qualified Egyptologist will be waiting in reception for you to start his tour for today. You will sample the relaxing journey over the famous modern bridge in Luxor which now connects the East and West Banks. Depending on how the Egyptologist plans the morning you will usually visit the Colossi of Memnon, are two massive stone statues of Pharaoh Amenhotep III. Followed by the amazing Valley of the Kings, which was built inside the mountains and away from the city to ensure that the Pharaohs, had each, their own secret burial chamber. Here you will be able to visit 3 of the tombs as advised by your Egyptologist. You will then move along to Hatshepsut Temple, dedicated to the sun god Amon-Ra and is located next to the mortuary temple of Mentuhotep II which was built by Queen Hatshepsut, daughter of Thutmosis I, who ruled Egypt about 20 years during the 18th Dynasty. Overnight: On board theNile cruise. Meals: Breakfast, lunch and dinner are included. Enjoy your breakfast on board the Nile Cruise; the Egyptologist will accompany you to a horse-drawn carriage to visit the famous Ptolemaic Temple of Horus at Edfu, otherwise known as Edfu Temple. Relax on board the Nile Cruise, after your breakfast there is plenty of free time. Usually after lunch the boat will sail to KomOmbo. In KomOmbo enjoy visiting the two temples of KomOmbo which consisting of a Temple to Sobek and a Temple of Haroeris. 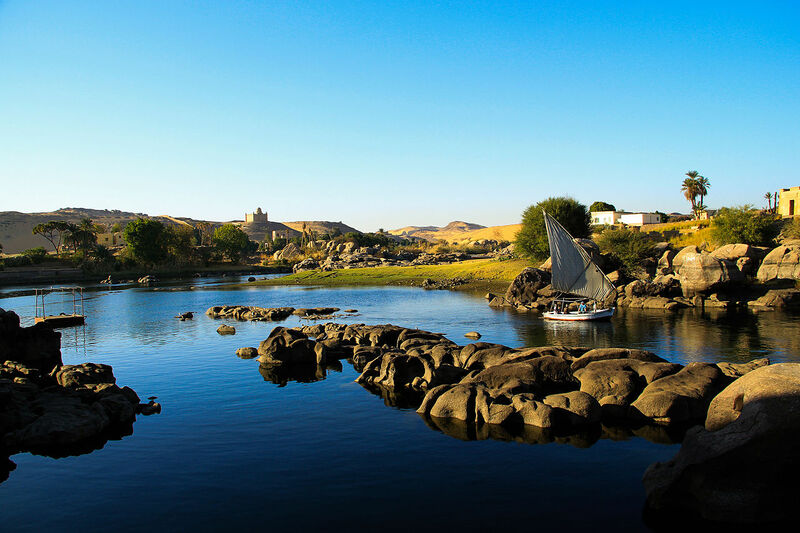 Sample the delights of the beautiful scenery along the Nile River whilst sailing to Aswan. A qualified Egyptologist will collect you from your Nile Cruise and accompany you for the duration of this tour in a modern air conditioned vehicle. Your Egyptologist will be showing you some of the fascinating historical sites in Aswan. Enjoy visiting the significant construction which called the High Dam, Known as Saad el Aali in Arabic Aswan High Dam is one of the greatest engineering miracles of this world. Constructed in 1960’s, was built to control the annual flood of the Nile River. Proceed to visit the Unfinished Obelisk, one of the most popular sites in ancient Aswan and provides immense insight into the stone working methods employed by the ancient Egyptians. Then move to visit the spectacular Philae Temple, which was dedicated to the goddess Isis, the wife of Osiris and mother of Horus. After that, your tour leader will help you to check-out from the Nile Cruise and you will be transferred to Aswan Airport for you domestic flight to Cairo International Airport..
Overnight: Cairo Hotel. Meals: Breakfast is included. Lunch and dinner are not included. After breakfast at your hotel, usually you have some free time to enjoy your last remaining hours in Cairo before your flight. It is customary to check out of your room at 12 noon however you will be able to use the hotel facilities until you leave for the airport. At the agreed time your tour leader will come to collect you from the hotel and transfer you to Cairo International Airport for your departing flight. What you see and what you get with this tour! Please note check-in is available from 2pm. The highlights visited or experienced throughout the tour. The Great Pyramids: Cheops, Chephren and Mykerinos are the oldest of the Seven Wonders of the Ancient World, and the only one to remain largely intact. The Pyramid of Khufu or the Pyramid of Cheops is the oldest and largest of the three pyramids. Egyptologists believe that the pyramid was built as a tomb for fourth dynasty Egyptian Pharaoh Khufu (Cheops in Greek) over an approximately 20 year period. Initially at 146.5 metres, the Great Pyramid was the tallest man-made structure in the world for over 3,800 years. Originally, the Great Pyramid was covered by casing stones that formed a smooth outer surface; what is seen today is the underlying core structure. Some of the casing stones that once covered the structure can still be seen around the base. There have been varying scientific and alternative theories about the Great Pyramid’s construction techniques. Most accepted construction hypotheses are based on the idea that it was built by moving huge stones from a quarry and dragging and lifting them into place. It is the largest monolith statue in the world located in the west bank of the Nile in Giza, standing 73.5 metres long, 6 metres wide. It is the oldest known monumental sculpture. It has been built by ancient Egyptians of the Old Kingdom during the reign of the pharaoh Khafra. The Great Sphinx has the head of pharaoh with a lion’s body, which dates from the time of Chephre. The museum displays a rare collection of 5000 years of art which is considered the largest most precious collection of Egyptian art in the world. Over 250,000 genuine artefacts are presented, including an exhibit dedicates to Tutankhamen collection of treasure, gold and jewellery which was enclosed in his tomb for over 3.500 years before it was discovered in the 1920 when his tomb was excavated. It was dedicated to the God Amon, his wife Mut and their son Khonsu. It was constructed from the beginning of the Middle Kingdom to the Greco Roman Kingdom. The Karnak Temple complex contains a group of Temples such as the Great Temple of Amon Ra, the Temple of Khonso, the Ipt Temple, the Temple of Ptah, the Temple of Montho and the Temple of the God Osiris. These structures, built by different pharaohs during different years, are mostly in ruins. Beginning at the Avenue of Sphinxes, you will have the opportunity to visit the Unfinished Propylon, the Hypostyle Hall with its 134 gigantic columns, the Obelisks of Queen Hatchepsut and Tutomosis III, the temple of Amun adorned with lotus and papyrus designs, and the Granite Scarab of Amenophis III. Luxor Temple was known in the New Kingdom period as Ipt-Rsyt, which means the southern shrine. It was built by Amunhotep III in 18th Dynasty in the New Kingdom and it was completed by Ramses II during the 19th Dynasty. King Ramses II was the most famous king in the 19th Dynasty. He ruled Egypt for about 67 years. Are two massive stone statues of Pharaoh Amenhotep III. For the past 3400 years since 1350 BC, they have stood in the Theban necropolis, across the River Nile from the modern city of Luxor. The statues are made from blocks of quartzite sandstone which was quarried at el-Gabal el-Ahmar. The blocks used by later Roman engineers to reconstruct the eastern colossus may have come from Edfu (north of Aswan). The original function of the Colossi was to stand guard at the entrance to Amenhotep’s memorial temple (or mortuary temple): a massive cult centre built during the pharaoh’s lifetime, where he was worshipped as a god-on-earth both before and after his departure from this world. In its day, this temple complex was the largest and most opulent in Egypt, even later rivals such as Ramesses II’s or Ramesses III’s Medinat Habu were unable to match it in area; even the Temple of Karnak, as it stood in Amenhotep’s time, was smaller. The legend behind their name is interesting. After an earthquake (recorded by Strabo) in 27 BC, part of the northern colossus collapsed and from then on, each morning at sunrise, the statue produced a strange musical sound. Early Greek and Roman tourists came to hear the sound, and gave the statue the name of ‘Memnon’, a Trojan hero, the son of Eos and Titan, who sang to his mother each morning at dawn. In reality it is thought that the effect of the sun heating up the stone produced the sound. It is located beneath the cliffs at Deir el Bahari on the west bank of the Nile. It was built by Queen Hatshepsut, who ruled Egypt for about 20 years during the 18th Dynasty. The mortuary temple was dedicated to the sun god Amon-Ra. It is considered one of the “incomparable monuments of ancient Egypt. It is an ancient Egyptian temple located on the west bank of the Nile in the city of Edfu which was known in Greco-Roman times as Apollonopolis Magna, after the chief god Horus-Apollo. It is one of the best preserved temples in Egypt. The temple, dedicated to the falcon god Horus, was built in the Ptolemaic period between 237 and 57 BCE. The inscriptions on its walls provide important information on language, myth and religion during the Greco in ancient Egypt. In particular, the Temple’s inscribed building texts provide details [both] of its construction, and also preserve information about the mythical interpretation of this and all other temples as the Island of Creation. The Tombswere constructed for the Pharaohs and powerful nobles of the New Kingdom from the Eighteenth to the Twentieth Dynasties of Ancient Egypt. They choose a location, far from the messing hands, and carved them into the mountains. The valley stands on the west bank of the Nile, opposite Thebes (modern Luxor), within the heart of the Theban Necropolis. The Valley of the Kings consists of two valleys, East Valley where the majority of the royal tombs are situated and West Valley. Famous tombs there belong to Tutankhamun, Ramses the Great and Tuthmosis III. Awitness of the significant architecture of Ancient Egypt and has had a significant impact on the economy and culture of Egypt. The High Dam, situated across the Nile River in Aswan,was constructed between 1960 and 1970 to control floods, provide water for irrigation, and generate hydroelectricity were seen as pivotal to Egypt’s industrialisation.The Dam is 11,811 feet long, 3215 feet thick at the base and and 364 feet tall. As a result of its construction, a great lake was formed, Lake Nasser, which is about 10 km wide in some places, and 500km long, extending between Egypt and Sudan. The Unfinished Obelisk is considered the largest known ancient obelisk, located in the northern region of the stone quarries of ancient Egypt in Aswan. It is unknown which pharaoh created this structure. It is nearly one third larger than any ancient Egyptian obelisk ever erected.If finished it would have measured around 42 m (approximately 137 feet) and would have weighed nearly 1,200 tons. The obelisk’s creators began to carve it directly out of bedrock, but cracks appeared in the granite and the project was abandoned. If finished it would have measured around 42 m and would have weighed nearly 1,200 tons. The unfinished obelisk offers unusual insights into ancient Egyptian stone-working techniques. It was built on the honour of goddess Isis the chief deity of the island. It is located in an island in Lake Nasser, Nubia. It was formerly an island in the First Cataract of the Nile River and the previous site of an Ancient Egyptian temple complex in southern Egypt. The legend says that the god Osiris is murdered and dismembered by his brother Seth. Isis searches for the fragments, collects them together and with her magic powers brings Osiris back to life. They then conceive the god Horus. Osiris becomes god of the underworld and judge of the dead – who must answer to him for their deeds on Earth. Meanwhile Isis gives birth to Horus and protects the young god. Later when Horus is grown he avenges his father by defeating Seth in combat. The beautiful and magnificent Temple of Philae was nearly submerged after the first Aswan dam was built in 1906, and it was not until the seventies that many nations attempted to save the Temple. All these countries, together with UNESCO, selected a suitable place, but they had to wait until the completion of the High Dam, in 1971, which would stabilize the level of the water around their chosen island. All prices are quoted above in a selection of currencies and these are a based on the US Dollar at the rate of exchange when published. Prices are per person per trip and are valid as stated, except during peak seasons such as Christmas, New Year and Easter holidays where a supplement will be required. Single room occupancy is available against a supplement as stated; sometimes it may be a different rate when not travelling as part of a group. Please contact us anytime to check! As you will be able to see, we operate a simple children’s price policy as detailed below; please note that any discount does not always apply to any holidays that involve an airfare, we will inform you when we receive your enquiry. It is important that the ages above refer to the age when travelling. It is advisable to reserve your Egypt trip as early as possible, thus ensuring that you can relax with the knowledge that you have secured the best trip for you. To ensure the trip is reserved and secured with Discovery Tours Egypt we will request a deposit of 35% from the total amount due, as you can appreciate this deposit counts towards your final payment. Discovery Tours Egypt is able to accept payment by PayPal, Credit Cards, Bank Transfer and/or Western Union. Upon arrival to Egypt you need to hold a valid passport with at least 6 months validity beyond your scheduled date of departure. Most countries have the ability to obtain a visa upon arrival for US Dollars $25 per passport. It is suggested that you check with your local Egyptian Consulate before departure if you can obtain a visa on arrival or not. Throughout all our tour pages you will see the words “tipping & gratuities” always shown within the excluded section of the tab on “specifics”. It is customary in Egypt to express ones satisfaction of the service received from the staff that have looked after him throughout his trip. It is not obligatory however it is well received amongst the staff that will be looking after you; our personal motto is “tip little but often”. On some tours we have added a tour kitty which is payable in resort at the beginning of your tour. This has been offered to make your life easier and allow the team to tip along the way on your behalf. All our Egypt tours include the sites as per the program however we do not include the special sites within these; such as entering inside the Pyramids, the Mummies Room at the Egyptian Museum, enter Tomb of Tutankhamen and others. There should always be sufficient time to visit these sites; please liaise with your Egyptologist at the beginning of the tour. They will try their best to provide you with the accurate information, advise you of the extra costs and obtain the tickets for you. Extra trips and tours may be available from time to time. These are available at extra cost and can be booked and paid for in resort.